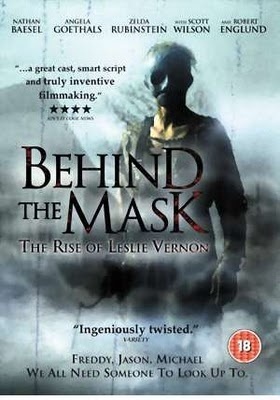 When Jennifer Lovely (of Don’t Read The Latin) started our weekly Friday Horror Movie Night, one of the movies I requested we watch was Behind the Mask: The Rise of Leslie Vernon. I’d been hearing about this movie for years and was interested in how it was executed. Recently, we finally did watch it. This movie works from the premise that all slasher movies are actually real events, but that the slashers themselves are just ordinary men who worked to give their actions the suggestion of the supernatural. Slashers are also shown as having their own subculture. 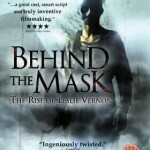 Behind the Mask is about Leslie Vernon’s efforts to become the next great slasher. Leslie reaches out to a documentary crew to film him as he prepares for his killing spree. At first going along to capture this strange underground culture, the film crew find themselves getting drawn into Leslie’s world for better or worse. At its heart, Behind the Mask is a deconstruction of the slasher genre. Unlike the Scream movies, that are more about characters that are aware that they are in a slasher film, Behind the Mask takes a look at the genre from the slasher’s point of view. 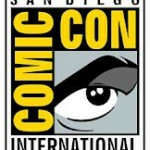 Director Scott Glosserman, who also wrote the script with David J. Stieve, makes several key choices in how the film presents this world that keep it unique. The main one is in not letting his concept box him in. Most of the cinematography is done in a ‘found footage’ style, with the idea being this is what was shot by the documentary film crew; however, when there are scenes that make no logical sense for the film crew to be there, the cinematography switches to being a more in keeping with standard slasher movie styles. It’s a device that works well. In the documentary segments Leslie is talkative, explaining every step of the way what he is doing and why in great detail. When it is in straight-up slasher film style Leslie says nothing, becoming the typical silent slasher. Even the color saturation changes from natural, to the deeper colors you see in a typical horror movie. Also, the camera men are never seen during the documentary sections. In fact, they are barely characters until the third act when the documentary style is abandoned completely. This film does a great job of laying out what is going to happen in the story, by following the predictable slasher movie expectations and then subverting them at the last moment. The script has some brilliant moments of subtle foreshadowing for those paying attention. Of course, a film like this is going to live or die based on the performance of the title character. Fortunately, Nathan Baesel gives a great performance as Leslie Vernon. He makes the character very charming, even while conveying that there is something clearly off about him. Thanks to Baesel’s performance there are times in the movie when you really want Leslie’s reign of terror to go off according to plan. The other lead in the film (Angela Geothals as Taylor Gentry, the interviewer for the documentary) also puts in a fine performance. Taylor rides a fine line, varying from being aloof about Leslie’s plans, to excited or horrified. One name in the cast that I’m sure was there to help sell the film to the horror crowd is Robert Englund as Doctor Halloran, a man who knows about Leslie’s plans and is trying to stop him. Englund’s part is small and doesn’t require much from the actor, but does serve to add to the overall structure of the movie. Englund’s presence is fun, especially since Freddy Kruger is called out by name a few times as one of Leslie’s influences, and one character suggests that he knows him personally. Speaking of the character that might know Freddy, the best performance in the film comes from veteran character actor Scott Wilson, who most people today know from The Walking Dead where he plays Hershel Greene. In Behind the Mask he plays Eugene, a retired slasher who lives with his wife in a quiet secluded home. Eugene acts as Leslie’s mentor, giving advice on key parts of his plan and giving the film crew insights into slasher culture. Eugene comes off as a friendly paternal figure, who still gives off the vibe that he could be very dangerous, given the right circumstances. Behind the Mask is a hidden gem of horror that is underappreciated by horror movie fans, and certainly under seen. I give Behind the Mask: The Rise of Leslie Vernon a final grade of B+. Horror fans should really enjoy it and non-fans should appreciate how it turns the normal slasher tropes on their head. 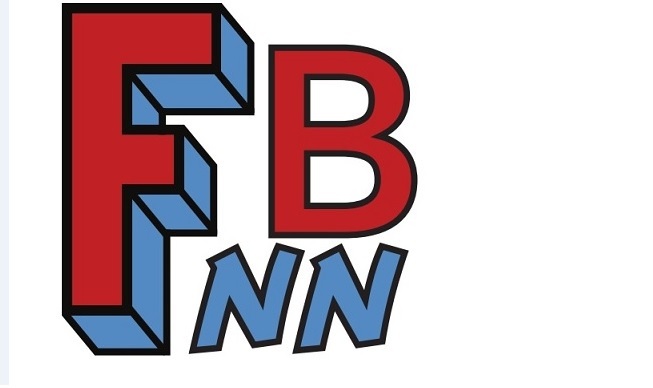 Jeff gets together with his sister, Jillian Venters of Gothic Charm Schoo, to talk about Disneyland at a Fandom. 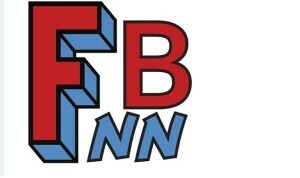 How Disneyland fandom differs from just visiting. Easter Eggs in the park. ways to enhance the Disneyland experiences. Tales of pranks Jeff has pulled on Jillian at the park.